The proud home of beer lovers, patriots, firearms enthusiasts and freedom you can taste. From premium malts to Columbus, Simcoe, Mosaic hops and more, when you drink a Gun Craft Beer, you're getting premium flavor, from premium ingredients, brewed by premium Americans just like you. Stick around for awhile, check things out and as always, feel free to contact us. To quote the text of our 2nd Amendment Red IPA label description, Gun Craft Beer honors the blood shed to create this great Constitutional Republic. The nation that has lifted the world to new heights. The cornerstone protecting all freedoms in America. Without it, life, liberty & the pursuit of happiness would only be a dream. CHEERS! SALUTE THE RED, WHITE & BREW! FREEDOM YOU CAN TASTE! 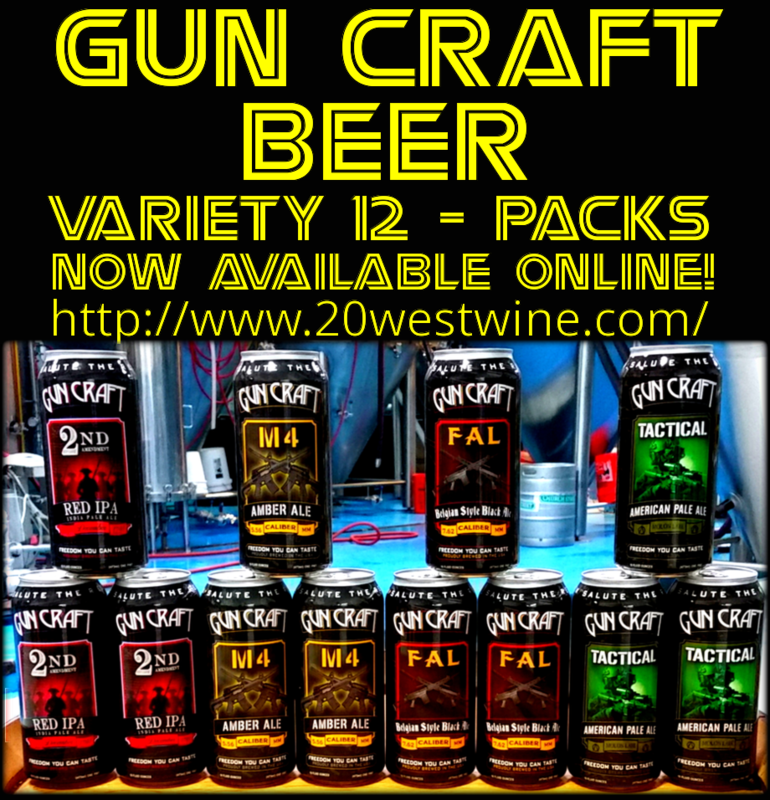 ©2016 Gun Craft Beer Inc. All Rights Reserved.